Waterfall Info: This is the third waterfall on Blood Mountain Creek from the bottom. You may see references that this waterfall is actually the 2nd waterfall on the creek, but that is incorrect. Also, some people refer to Third Falls as the "Upper Falls" on Blood Mountain Creek, but that is incorrect as well. Those people are simply unaware that two more waterfalls lie upstream. 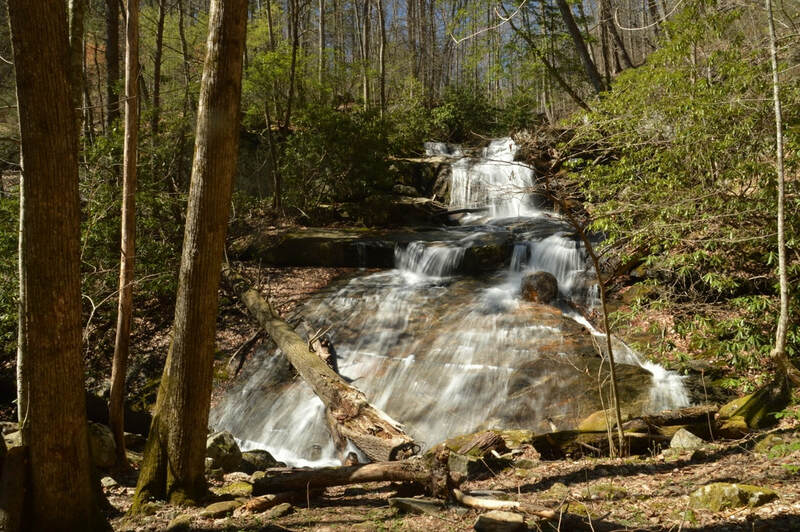 Access Info: The well-defined but unofficial Blood Mountain Creek Trail from Dicks Creek Road (FS 34) to Third Falls on Blood Mountain Creek.